The National Development and Reform Commission (NDRC) is currently seeking public opinions on a revised list of industries it wants to either encourage, restrict or eliminate. In total, the NDRC's draft for a revised list contains more than 450 activities, including cryptocurrency mining, that the government agency believes should be phased out for being unsafe, wasting resources, polluting the environment or not adhering to local laws and regulations. The 10th anniversary of Bitcoin: trick or treat? 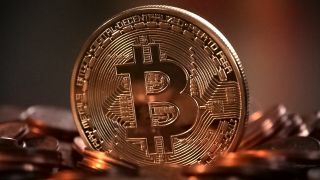 The commission has not proposed a target date or even put forward a plan for when it wants to eliminate Bitcoin mining which suggests that the practice should be phased out immediately. The Chinese public on the other hand has until May 7 to comment on the draft before it's finalized. The country also began to limit cryptocurrency mining due to the high amounts of electricity it requires which forced many of the world's largest firms to set up shop elsewhere. In addition to mining Bitcoin, Chinese companies are also some of the world's biggest manufacturers of Bitcoin mining gear and systems. These firms would be hit hard by a potential ban though demand for their equipment has tapered off since the height of the 2017 bubble.